Making your own lacto-fermented condiments is quite easy, so why not enjoy the wonderful health benefits that come with lacto-fermentation? 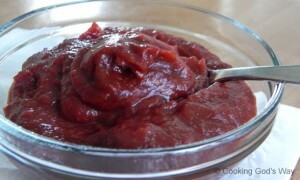 We love this lacto-fermented ketchup on almost everything. With the molasses added, it tastes like a cross between BBQ Sauce and Ketchup…so it makes a very versatile condiment at the dinner table. Place all ingredients, except water, in the container of *food processor*. Add 1/4 cup filtered water and process until smooth. If needed add additional water until desired consistency is reached (for me it’s about 3/8 to 1/2 cup of total water). Place ketchup in glass jar, preferably with air-lock lid, capping tightly. If using air-lock fill with water according to instructions. Allow to ferment, at room temperature, for 3 days. Remove air-lock lid, if using, and replace with storage lid. Transfer to, and keep in the refrigerator for long term storage. How long is this ketchup supposed to last in cold storage? Peggy, the ketchup usually lasts a minimum of 1 month…sometimes 2 or 3 months while in cold storage. I make cottage cheese every week, which generates TONS of whey, however this whey is more watery than the whey encountered with yogurt. Can I use this for fermentation culture? The whey acquired from cheese-making is not the same as they whey you can get from “live” yogurt. Whey from yogurt contains live probiotics needed for fermentation. Whey from cheese-making will not contain probiotics. There is nothing wrong with the whey that comes from your cottage cheese making, it is still a good source of protein, it just will not work for fermentation. It can be frozen for use later in smoothies though. Why doesn’t the whey from cheese-making contain probiotics? When making cheese the milk is generally heated to a high temp, higher than 118 degrees Fahrenheit (the temp in which enzymes/probiotics etc begin to die). For this reason the probiotics are not alive anymore so cannot be used to culture fermented foods/vegetables. Water kefir may be used, as well. Great recipe. I look forward to trying it. Gina, we have not tried this recipe with water kefir as the culture so we can’t confirm that it will work. Can you use kefir instead of whey? What does the whey do in the recipe? I have problems with dairy. Is there a way to get it out of the recipe? Sherry thanks for asking 🙂 Please see my answer to the previous comment, it should cover it. Is there a way to make this without the whey — we’re casein/dairy-free. The whey is used as a culture in this recipe. To omit it you would need to use some sort of culture in its place. 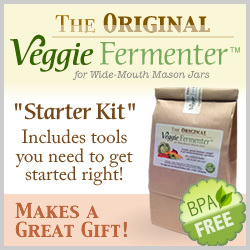 Maybe you would need to purchase a “dairy-free” fermented vegetable culture and try it in place of the whey. 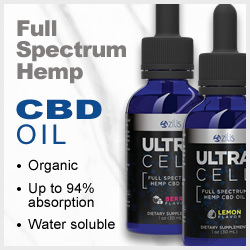 I would suggest Cultures for Health, their products and customer service is always great. Hi! I believe Sally Fallon recommends sea salt as an alternative to whey in many of her recipes. I’m not sure of the chemistry, and would refer you to Nourishing Traditions. Thanks for the useful recipes! Nancy, you are correct… Sally Fallon does recommend sea salt as an alternative to whey in many of her lacto-fermenting recipes. But when attempting to ferment something that has been heated, cooked, roasted, etc., then a culture of some sort MUST be used. This is due to many of the enzymes etc. being diminished or destroyed during the heating. The culture can be whey from homemade yogurt or kefir OR a vegetable culture available online (such as at Cultures for Health). For example, in the ketchup recipe we are using tomato paste from a can… this has nothing alive in it due to the canning process. So to ferment it we NEED to use a culture (whey, etc. ), not just salt as that would be unsafe. I hope I’ve helped clear this matter up 🙂 and thanks again for the comment. I see! Yes, that’s a very good point, and the reason I’m not giving people advice or recipes in a blog! Thanks for the info. I’m going to try this recipe halving the ingredients (if that makes sense). How long is the shelf life of fermented food? The shelf-life of fermented food varies and depends on many factors. It depends on how “fresh” the food was when you fermented it. How “hard” is the type of vegetable you are fermenting – for example a soft vegetable like Cucumbers “pickles” will not last quite as long before getting as a harder vegetable like Cabbage or Carrots. Now mind when I say last, I do not mean they will be “bad”, or inedible, but mostly not as preferred to eat. The pickles will get softer and softer as they age and become not very appetizing, etc. Pickles usually last on average 3 or more months, properly refrigerated and Cabbage or Carrots 6+ months. Is it necessary to use Maple Syrup or could you substitute honey and still get a yummy ketchup? Maple Syrup is preferred because honey is anti-bacterial in nature and can affect the outcome of lacto-fermented foods. Thanks for all of these great recipes! Have you ever tried using a culture starter (i.e. Body Ecology culture starter) instead of whey for the fermenting? If so, what was your experience using the culture starter vs whey? Deb, I do not use a starter culture for 2 reasons. 1) Whey is very easily and inexpensively procured from homemade (or good quality store-bought) Yogurt. Homemade yogurt is so easy to make and those pre-packaged starter cultures cost more money over-time. 2) The whey you get from draining yogurt at home is not “processed”, unlike like those powdered starter cultures. So it fits with the ‘Cooking God’s Way’ mentality. Eat foods as close to nature as possible –the way God intended–, traditional foods with minimal processing.